Introduction (Light Path): "The magic that runs through my veins is not from this world. I am one of the chosen - one of those who are granted the right to study the magic of the dragons. Only the best will earn the right to learn the most secret mysteries of these creatures and rightfully call themselves Dragon Mage! This is my goal. And I will give everything for it." Introduction (Shadow Path): "The path I chose is hard. The honor of learning dragon magic from the dragons themselves is granted only to few. True magic! Not the silly conjuring that people call magic these days. Just being magically gifted is not enough to reach this goal. No-one and nothing will keep me from fulfilling my destiny and taking what is rightfully mine...the title of Dragon Mage." Fight With the Power of the Dragon- Dragon Mages fight with their magic and their mental superiority. They have strong skills at their disposal to attack entire groups of enemies from a distance. Dragon Mages are particularly specialized in not letting enemies get close to them in the first place. They can furthermore summon and control various creatures for their support. On the other hand, if they should at some point seek out close combat, then their enemy will get to deal with a real dragon. Introduction (Light Path): "I'm from the deep woods. My heart beats in tune with nature and my soul draws its power from the mystical force of the trees. But the world's destiny forced me to leave my home and fight to prevent nature's destruction. I spare no pains for this aim." Introduction (Shadow Path): "Once, the forests were my home. I believed that under the protection of nature I would live forever, far away from the quarrels of this world. Still, I had to realize this was an illusion! Thus I decided to leave the forests and to take my stand on the stage of this world. Wherever my journeys will take me, I shall not lost track of my ambitions." Bow and Arrow- The High Elves work mainly with elemental magic, but their enemies, the Dryads, focus on nature. Capricious Hunter, Cabalistic Voodoo, and Nature Weaver are the aspects used by the Dryad. 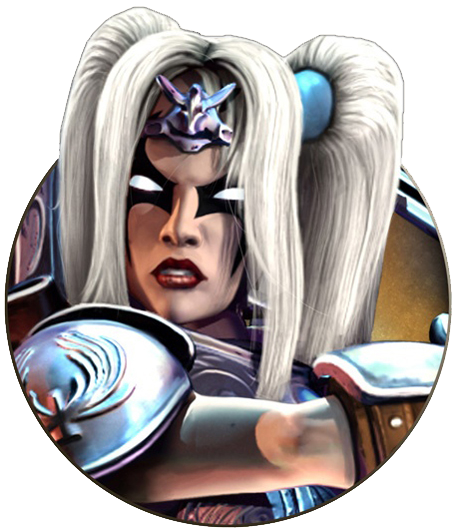 She is also the ranged combat specialist among the character classes. She starts out with a blowgun and a better than average dexterity value. No one can beat this character when it comes to bows and blowguns. At the same time her magic is relatively weak at the start of the game, which means the Dryad is mainly a character for advanced and veteran players. Introduction (Light Path): "My studies of magic were long and arduous. Still, they were not in vain. due to my heritage I have been given access to the most secret archives of Thylysium and thus I was able to perfect my abilities and my knowledge of the arcane sciences. Now, after all these years of studying I must prove that my education was fruitful. Ancaria awaits!" Introduction (Shadow Path): "I have been reading books and listening to senile men while pretending to be interested for far too long. I have achieved what I wanted to achieve - learned what I was eager to know. My time has come, I have the world at my feet. My powers are great and I am not afraid to use them." 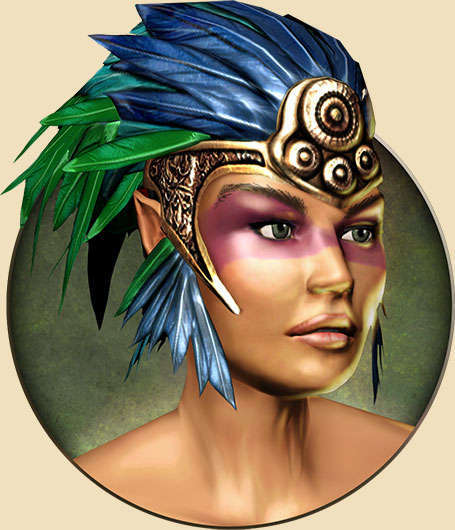 Magic for magic's sake- Of all the character classes in Sacred 2: Fallen Angel the High Elf comes closest to being a "classic mage". She has three magic based aspects at her command: Arrant Pyromancer which is especially useful for learning fire spells. Mystic Stormite, which grants her access to a number of ice-based spells, and Delphic Arcania which contains special protection spells such as a teleport spell and a banishing circle. The High Elf's constitution is relatively weak and therefore, she is easily wounded by melee attacks. In a fight she is dependent on the use of her combat arts, so playing her requires more strategic thinking than playing a melee class. 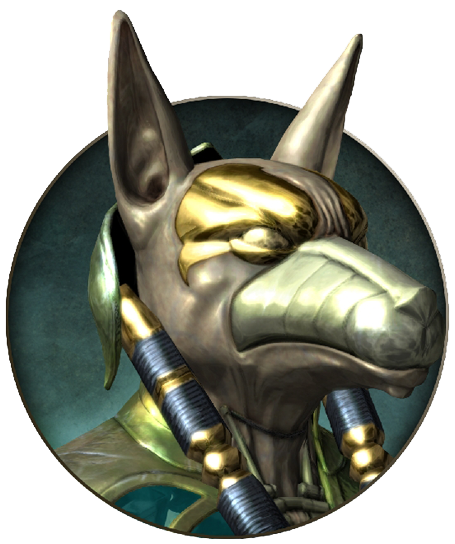 Introduction (Shadow Path): "I am an Inquisitor, one of the high priests of the High Elves. Vested with all of the privileges of my rank, I pursue my own goals independently and freely. the affairs of the lower beings of this world do not concern me. Let them call me evil. May they wail and curse me. They're lacking the mind to understand the true principles of my existence, the unrestricted exercise of the power I am entitled to for the higher good of the Inquisition." 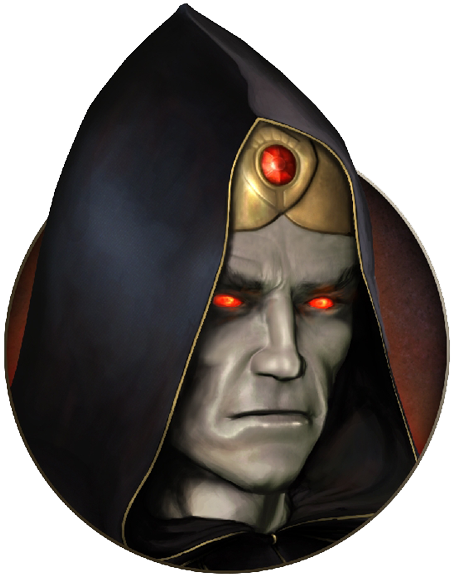 Death Follows Him- The Inquisitor is to the powers of Darkness what the Seraphim are to the powers of Light. The combat arts of his aspects Gruesome Inquisition, Astute Supremacy, and Nefarious Netherworld, for example Callous Execution, speak for the mindset of the Inquisitor. 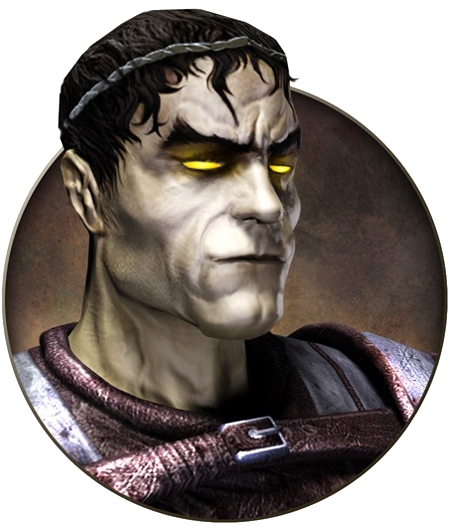 Just like his counterpart-the Seraphim-he is a versatile character, but specializing in the aspect Nefarious Netherworld requires an experianced player as the Inquisitor will not even stop short of utilizing the dead for his purposes. Introduction (Light Path): "I am one of the Seraphim, the ethereal beings who have been watching over the fate of the word since the beginning of time. United as sisters under the watchful eye of Sophia we were committed to our duty and proud do server. Yet the creator has left this world. Thus we are patiently waiting for the day when he will finally return, the day when our duty will be fulfilled." Too good to be true- The Seraphim is an ideal all-around character well suited for beginners and veterans alike. They can use most weapons and wear heavy armor. Their aspects Exalted Warrior, Celestial Magic and Revered Technology reflect a mix of offensive combat arts and solid protection spells. Efficient buffs like Warding Energy complete the profile of a versatile, strong character class. The Seraphim fights for the light and can therefore only choose the Campaign of Light. She may also not choose a dark God. Introduction (Light Path): "Once I was a soldier. I proved myself in many battles. I never failed and I never avoided a fight. My enemies feared me and I was respected long after I was gone. But I was betrayed. An unnatural force robbed me of my final dues, the peace I had earned and brought my body back into this world. This is how I was damned to continue my existence as a creature of the shadows. And so I set out on my way in faith and honor hoping that one day my path might lead me to eternal peace..."
Introduction (Shadow Path): "Returned! Returned to the realm of the living. Returned to this miserable world full of weak, pathetic creatures. I was once a proud, courageous warrior, always in search of a worthy opponent. And when I finally found him, I was able to descend to the Realm of Shadows with a clear conscience. But I was betrayed! I was torn out of death's sweet embrace, damned to life, damned to immortality. But I swear by my lost soul that the living will pay for my suffering." Death Becomes Him- New to Ancaria? Then the Shadow Warrior should be your first choice. He is robust, hard to kill, and a skilled fighter, which makes him the perfect character for beginners. He is able to use the largest swords, heaviest war axes and maces. His strikes and blows are deadly. He keeps calm when the battle rages around him and always tries to get close, so his opponents can get a taste of his close combat skills. The undead part of the Shadow Warrior adds something very special to his classic fighting skills as it enables him to call forth his dead comrades for support. Introduction (Light Path): "Me and my brethren have existed in Ancaria since the beginning of time. Brought into being by the creator of this world, animated through his energy. Our bodies may consist of lifeless materials, but my spirit is alive. Few of us have survived the Great War. We may have lost our ways and our task may seem to be unaccomplishable, but I shall not rest until I have fulfilled my destiny." Introduction (Shadow Path): "I am one of the few Temple Guardians to survive the Great War. No blood is running through my veins, as this would be a sign of mortality and weakness. My body is meant for eternity. I will not tolerate the victory of the mortals. The creator gave us a task. I will not desist from that task for as long as I shall exist." Man and Machine- The Temple Guardian is a special character who can access T-Energy directly. In contrast to the other characters one of his most important weapons-his weapons arm-is already built in, which means that his left arm changes with whatever combat art is used at the time. He is always able to fire a bolt of energy from his left arm. When engaging in close combat he uses the arm to strike his enemies down. Due to his unique abilities he's an excellent support character in multiplayer games. In a campaign this character is better suited for experienced players. This page was last modified on 2 October 2013, at 01:00.